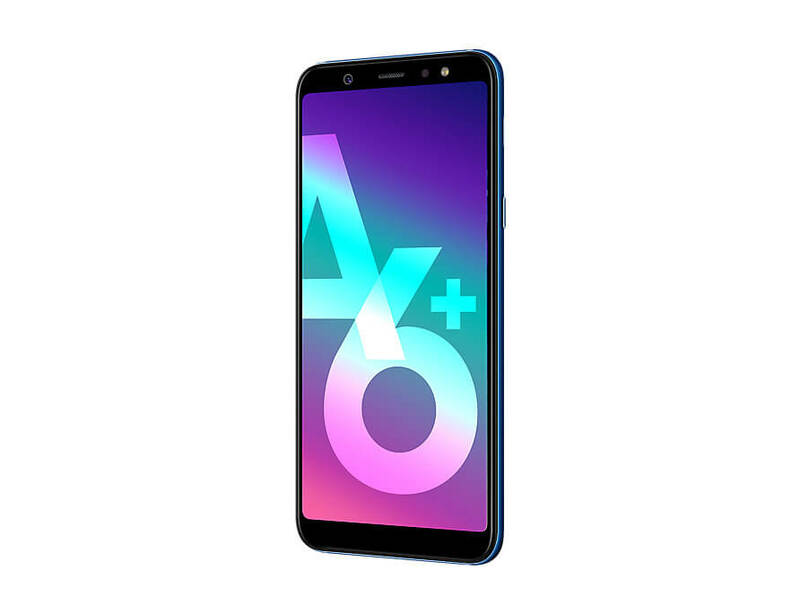 If you are open to the idea of getting a smartphone similar to the Galaxy A6 but not quite impressed with its bland specs, the Samsung Galaxy A6 Plus may just be right up your alley. It’s got that extra oomph in virtually all the departments that the Galaxy A6 is lacking. Let’s have a look. 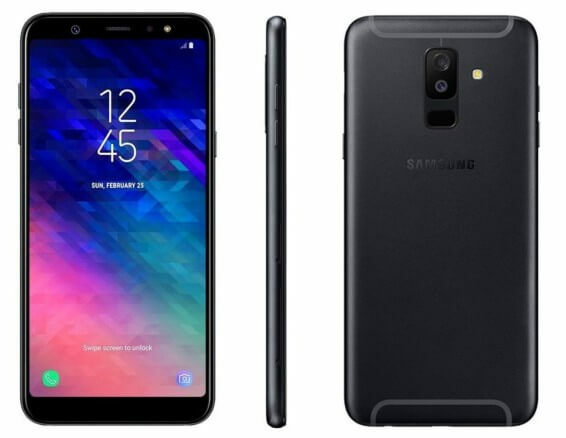 Like the less expensive A6, the Samsung Galaxy A6 Plus is a dual-SIM Android smartphone rocking the Oreo flavor of the OS via the Samsung experience user interface. Its design is also, not surprisingly, similar to the A6’s design featuring a unibody metal build and still with no dust and water resistance IP rating. The display though is markedly different with the Galaxy A6 Plus sporting a 6-inch Super AMOLED touch display having a better 1080 by 2220p resolution which puts its pixel density at just over 411 pixels per inch. Ditching the Samsung Exynos chip, the A6 Plus rocks the low budget Qualcomm Snapdragon 450 SoC which by extension makes it an Octa-core device. An Octa-core device having a CPU speed clocked at 1.8GHz and having graphics being handled by the Adreno 506 GPU. a 4GB RAM + 64GB ROM one. The internal memory of both variants can still be extended by means of an external SD card, though. 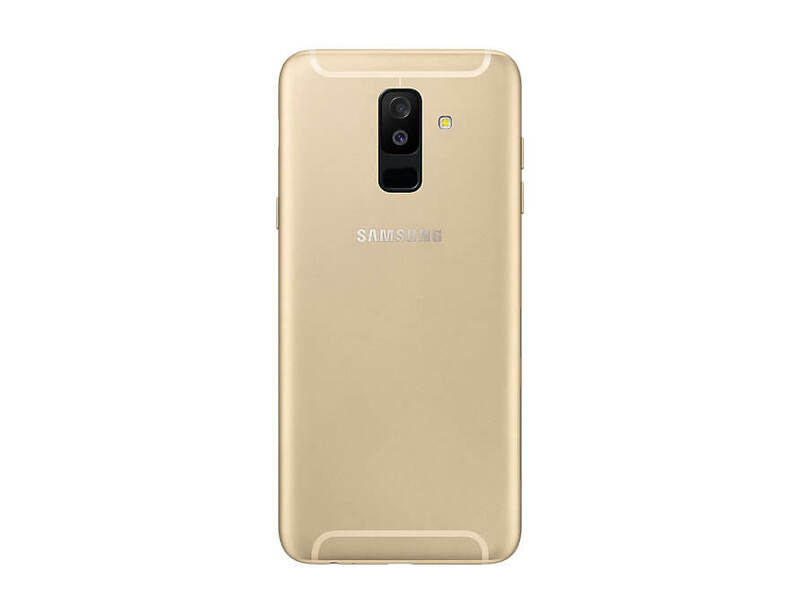 For selfies and snaps, the Samsung Galaxy A6 Plus sports a 24-megapixel front-facing shooter which has its own dedicated LED flash, but features a dual camera setup on the rear. This dual camera setup consists of an f/1.7 16-megapixel main shooter and another f/1.9 5-megapixel secondary shooter (mainly for depth information). For security, the device still has its fingerprint reader positioned beneath the dual cam setup at the back, and the face unlock feature is present, too. Finally, for juice, the Samsung Galaxy A6 Plus relies on a non-removable 3500 mAh Li-Ion cell.